HomeDesignsTilt-Shift Your PHOTOS With TILT-SHIFT MAKER! Tilt-Shift Your PHOTOS With TILT-SHIFT MAKER! 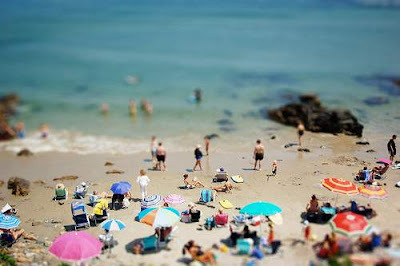 Tilt-shift makes your photos or pictures in real-life scenes to look like model photographs. With Tilt-Shift Maker, you can now easily transform your existing digital camera photos into tilt-shift style miniatures. Large collection of TILT-SHIFT photo samples. Now you can do a simple Tilt-Shift of your photos in a few easy steps, all online and free without having to use image editing software. Create tilt-shift style photos in 3 easy steps!